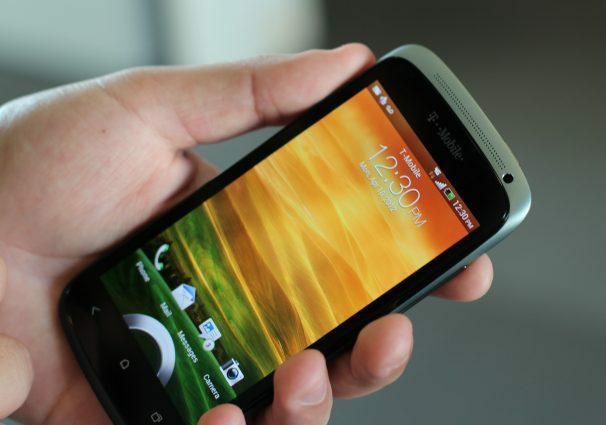 T-Mobile announced that the Android 4.0-powered HTC One S will arrive in the carrier's stable on April 25, and so far reviews say this phone is the Android device to beat in 2012. Reviewers are going gaga over the phone's camera, battery life, responsiveness, design, and sound. However, not everyone is thrilled with the device's storage size or the usual bloatware that manufacturers and carriers love to add to new Android handsets. 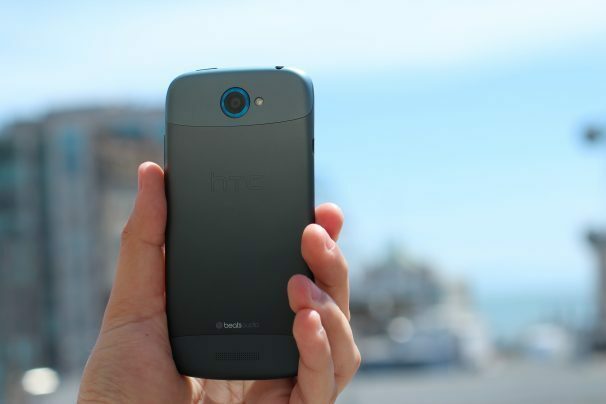 Here's a quick round-up of what the reviews are saying about the HTC One S.
The HTC One S features a 4.3-inch qHD Super AMOLED display with 960-by-540 resolution, a Qualcomm Snapdragon S4 1.5GHz dual-core processor, 16GB onboard storage with no expansion slot, an 8 megapixel rear-facing camera with 1080p video capture at 60 frames per second, front-facing camera for video chat, 802.11 b/g/n Wi-Fi, Bluetooth 4.0, micro-USB 2.0 (5-pin), and DLNA compatibility. The device also features the usual HTC additions such as the Sense UI overlay (version 4), Beats Audio, and (available on all HTC One series handsets) 25GB of free Dropbox storage for two years. The One S is running Android 4.0 Ice Cream Sandwich and available on T-Mobile for $200 (after a $50 mail-in rebate) and a new two-year contract. The most popular feature by far on the new One S is the handset's 8 megapixel camera featuring 1080p video capture at 60fps. PCWorld's Ginny Mies said the camera lived up to HTC's boast that there was virtually no shutter lag allowing you to take a series of photos relatively quickly in burst mode. Engadget called the camera "fantastic" and BGR's Zach Epstein said, "The quality of the images the One S captures is among the best I’ve seen on a smartphone." The new camera's software also features some Instagram-style filters, but from the sounds of it you're still better off using apps such as Instagram for Android and Pixlr-O-Matic. The One S may be a dual-core handset living in a quad-core world, but that doesn't appear to be a problem for its responsiveness. Engadget said the One S is "one of the fastest phones we've ever used," and CNET said "Menus, apps, and images opened with pep, and animations that give many other Android handsets trouble were buttery smooth." PCWorld's benchmark tests found the One S to be faster than the Samsung Galaxy Nexus, our formerly top-rated smartphone. HTC's investment in Dr. Dre's Beats Electronics appears to be paying off for the company in terms of sound quality for its smartphones. The One S reportedly has superb Beats Audio integration for enhanced music listening. GigaOm said "music sounded richer and louder" on the One S, thanks to Beats integration. "Beats signal processing has a dramatic impact on sound quality; more so than equalizer functions on any other smartphone, in my opinion," said Epstein.